The Premier League should delay the introduction of Video Assistant Referees (VAR) until they iron out the flaws that delay refereeing decisions and “annoy” fans at the stadium, Tottenham Hotspur manager Mauricio Pochettino has said. VAR, which was used in the World Cup last year and is use in major leagues across Europe, is set to be used in the English top flight next season after clubs agreed in principle to introduce the technology. The system is being used in England’s cup competitions this season but Pochettino believes the lack of clarity for players and fans at the stadium during VAR’s decision-making process leaves them frustrated. 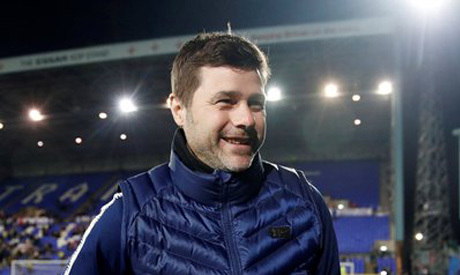 “I think it is a good idea to delay because if we don’t have all the information... it is better to stop for one year or more,” Pochettino told reporters. “What worries me a bit is that there’s going to be a situation where football starts to annoy fans. If you stop for five minutes for a decision, I don’t know how they are going to behave,” the Argentine added.